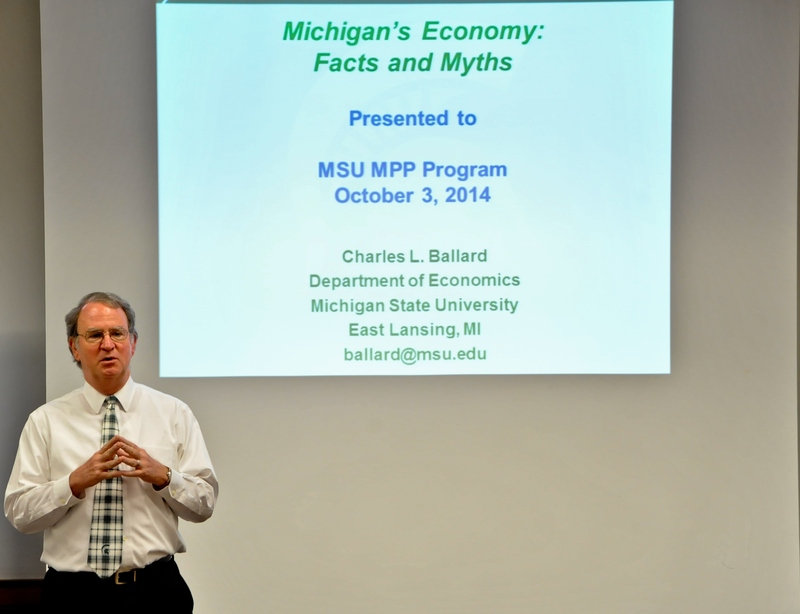 Professor of Eco nomics Charles Ballard kicked off MPP@MSU’s Distinguished Speaker Series Friday, October 3. 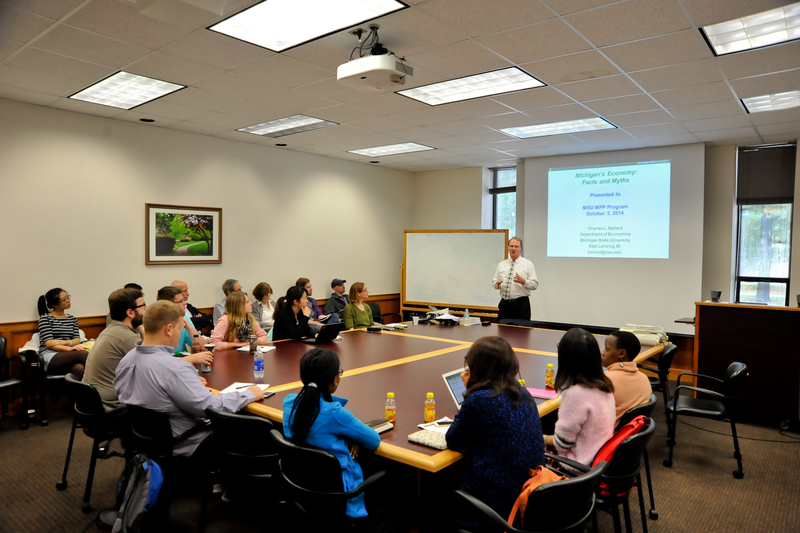 Professor Ballard spoke to MPP students about Michigan’s economy, education, and the State of the State Survey. Ballard highlighted the scope of Michigan’s job losses and economic challenges both over time and in a nationally comparative context. The combination of these economic conditions and underinvestment in education at the systemic and individual levels presents a complicated policy context for the state and our future policymakers to navigate in order to improve Michigan’s quality of life. We thank Professor Ballard for sharing his thought-provoking work with MPP@MSU students and providing an informative perspective on the systemic policy environment in Michigan. The Distinguished Speaker Series brings accomplished alumni, faculty, and practitioners into the classroom to offer students the opportunity to learn from and ask questions of leaders facing real-world challenges across the spectrum of public policy.